But I span and broke it down. After that, I bought another Leopard again because I didn’t want to loose that. was an Ultima and the colour was gold. 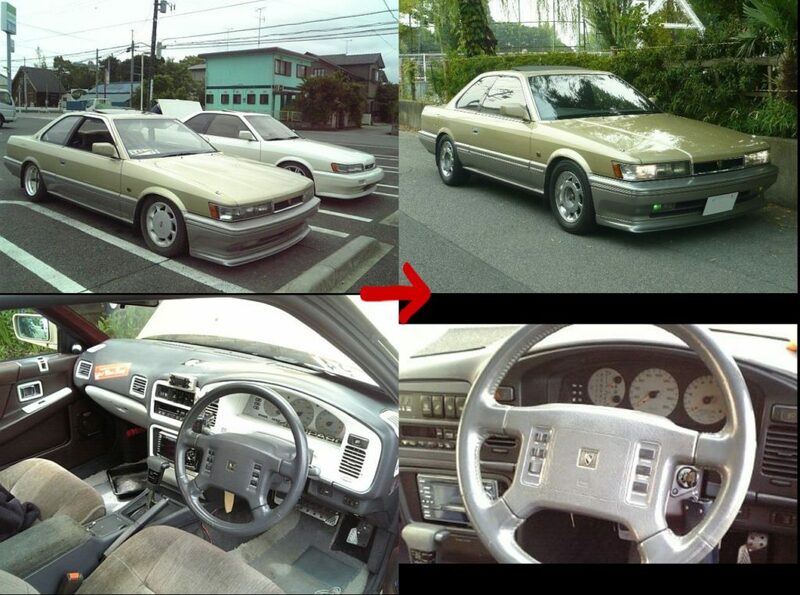 because of the TV series “Abunai Deka”. The condition was worse than the dark blue but I was very happy. colour is gold. Only dozens of Leopards with the specification were sold. My 4th Leopard. The color has been white, and it has painted gold once. I painted it again after I got it because the condision was not good. 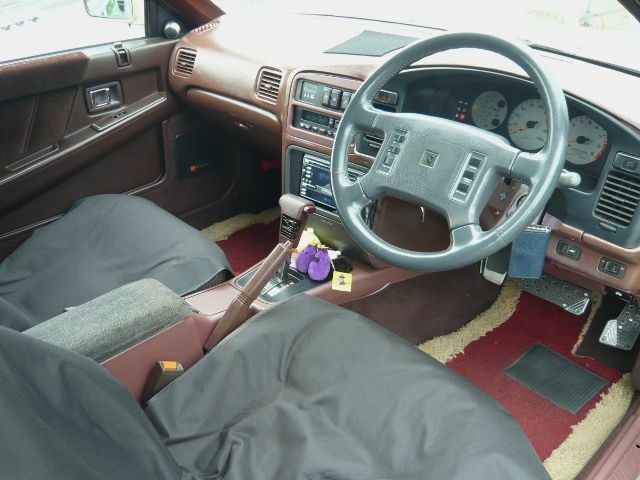 The seats were replaced to the Zenki. The meters were replaced to the Y32’s stuff. 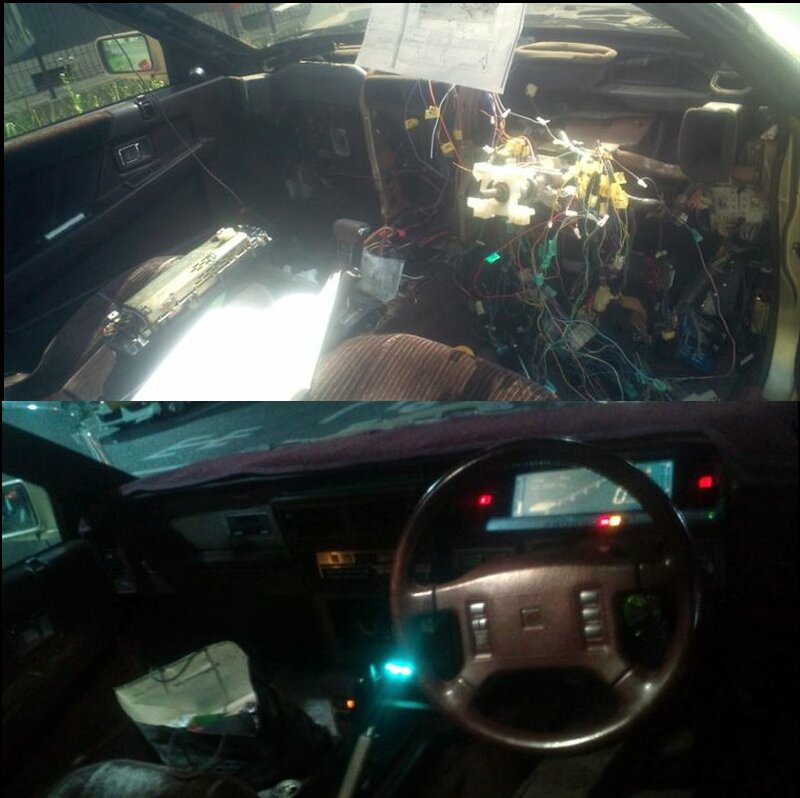 And the dashboard was replaced to the Zenki. wouldn’t notice the car is a Kouki. I’m going to write about the time Leopards were released. See you then.